Our cats were both sleeping near the computer and these videos were driving them nuts. To our ears these birdsongs sound pretty good. They didn’t trick the cats into stalking mode, but they did spark an audible complaint. So the predators aren’t drooling but the mechanical engineers reading this should be. These automata combine the precision of a mechanical clock with a bellows and specialized whistle to recreate birdsong. You’ve got to hear it for yourself to appreciate the variety produced by the mechanisms. 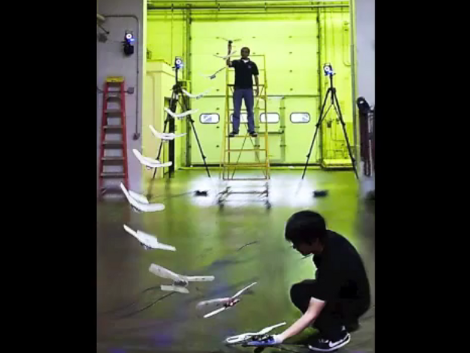 The first video shows off the device seen on the left. This particular model is from the 1890’s and the demo gives a good look at the arms that open and block a passageway to alter the sound. After seeing that link — which was sent in by [Stefan] — we started searching around for more info on the devices. The one pictured to the right turned up. It’s from YouTube user [Singing Bird Boxes] who has many videos showcasing these types of devices. We picked this one because he tried to explain how each part of the mechanism works. These are still being made today, but there’s something magical about seeing one built during the steam age. We’d like to make Retrotechtacular a weekly feature every Tuesday. Help us out by sending in links to projects that highlight old technology, instructional videos of yore, tours of museums or similar relics. 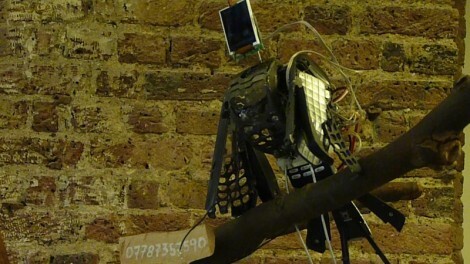 The video you see above is the on board footage of the DelFly2 autonomous ornithopoter robot. Weighing 16 grams, it carries a small camera and can provide a live feed. If you’re amazed at the tiny size and weight of the DelFly2, check out the DelFly micro, video after the break, that weighs 3 grams. Remember when we thought 17 grams was small for an ornithopter? All processing for the DelFly2 is done at a base station and transmitted to the flying bot to keep the weight down. The team also had to create their own brushless motor that runs at 60% efficiency and weighs only 1.6 grams. The 130mAh battery can sustain 15 minutes of horizontal flight or 8 minutes of hovering.